LXZ & LXSY Coding Type Remote Reading Water Meters are designed for accurate measurement of water volume passing through the pipe, suitable for both commercial and residential customers. 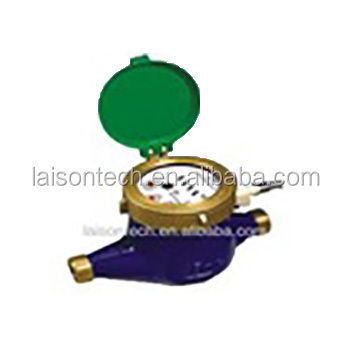 LXZ type adopts liquid-sealed mechanical water meter, features in clearing reading and non-contamination in wheels. LXSY type adopts dry type mechanical water meter, which ensures no influence by water quality and easy reading. Ø Mechanical part and other functions conform to standard of GB/T 778.1~3—2007 Class B, Electrical part is in conformity with standard of CJ/T 224-2006. Ø By directly reading water volume from register by photoelectricity method, it has almost no error during mechanical-electric conversion compared to traditional pulse water meter. Ø Meanwhile, it only required power supply only when reading meters, which cost very low power consumption. Ø High communication reliability by using advanced data coding and verification methods. Ø Meet requirement of EMC, ESD, and EMI etc. standard. Ø Establish an automatic remote reading & management system by using corresponding PC software and ensures a perfect automated meter reading system.